The UK's share of the global water technology market could be worth £8·8bn by 2030, providing 71,000 jobs and involving around 960 small and medium enterprises (SMEs), suggests a new report published today by the UK Water Research & Innovation Partnership (UKWRIP). Pre-commission cleaning of closed circuit pipework systems and the subsequent monitoring of water quality are essential in any building. The implications of getting these wrong can be catastrophic. The resulting problems include disruption to occupants whilst systems are re-cleaned or, in the worst cases, complete closure of buildings whilst entire systems are ripped out and replaced due to early failure. Looking back on earlier in 2016 we can reflect on a winter characterised by named storms e.g. 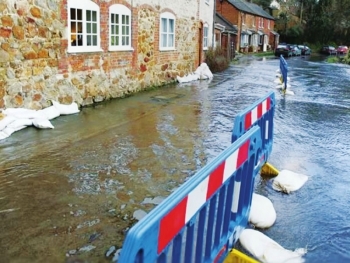 Storm Desmond, wreaking havoc to home and business owners alike.